Game changing developments from sports world? Just when it seemed that RFID progress had ground to a halt, along comes America’s NFL with a game-changer. Ruari McCallion checks the playbook. The sight of two 100kg-plus helmeted and armoured men smashing into each other is a sensation for the eyes and ears. The impact is loud and it looks so violent, almost terminal, that it is amazing to see the combatants get up unassisted – rather than being carried off by an ambulance – and do it all again a few minutes later. 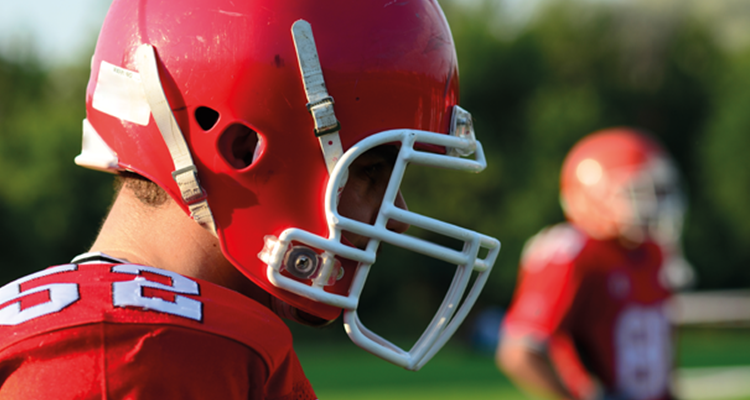 The physical contact is very much part of American football – and it will, from September 2014, be providing information that materials handling professionals should sit up and take note of. From the start of the 2014 season, the NFL – the National Football League, the governing body of American football – has authorised the use of RFID tags, which will be fitted to players’ shoulder pads. The tags are of the ‘active’ variety, which means that they actively broadcast information to a network of 20 receivers that have been installed in 17 of the game’s stadiums across the USA. They will be used in Thursday night matches. The tags will track players’ position, speed and distance and will create a new category of statistics to track and for commentators to discuss – not that they were short of information in the first place. TV viewers will also be able to join in, as data will be displayed on the screen. 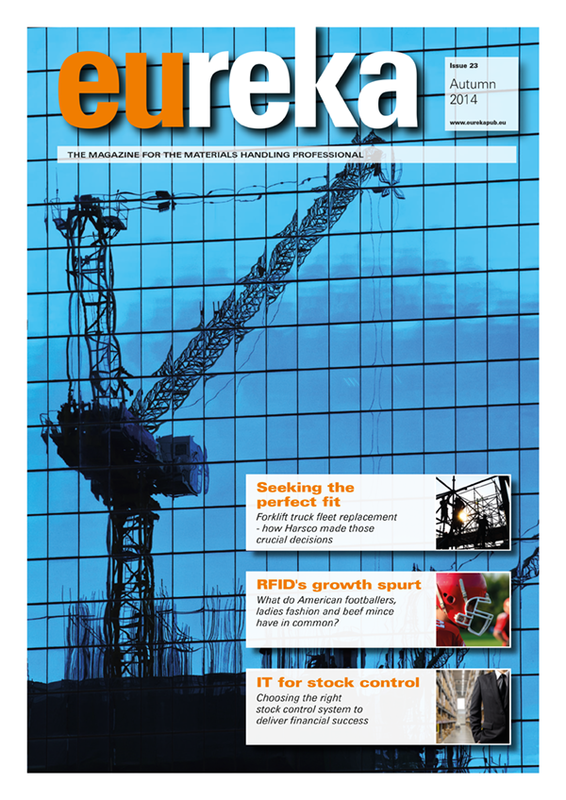 But why should this be of interest to materials handling professionals? As pointed out at the beginning of this article, American football players smash into each other with bone-crunching force. They also run and they accelerate at phenomenal rates. Speed is one of the factors that is worthy of note. 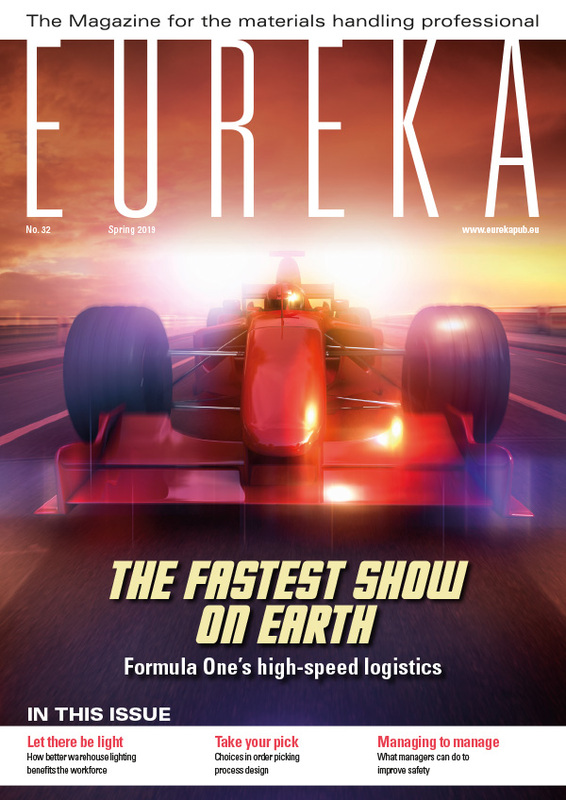 When eureka last looked at RFID last, three years ago, a major handicap to its widespread adoption was the fact that receiving devices could not reliably track tags that were moving at 16.09kmh or more – just over 10mph. That is faster than walking speed but somewhat slower than the normal operating speed of a forklift truck, and not even as fast as quite a few conveyor belts. However, American footballers regularly reach speeds approaching 30kmh, or just over 18mph. They may not sustain that speed for long periods, but they are doing it – and if the RFID tagging is to work on the football field and transmit the data expected, it has to be able to track the tags reliably. The tags themselves cannot be shrinking violets, either; they have to be able to survive the impacts and rough and tumble that is an essential part of American Football. It is quite a challenge for Zebra Technologies, its equipment and technology. Witold Bahr, research assistant in the School of Engineering and Applied Science at Aston University, Birmingham, England, has been working in the RFID field for a number of years and has taken an interest in this project. The tags are of the ‘active’ variety, which means that they actively broadcast information to a network of 20 receivers. “The tags are about the size of a 50p coin and are powered by batteries, similar to those used in wristwatches,” he said. 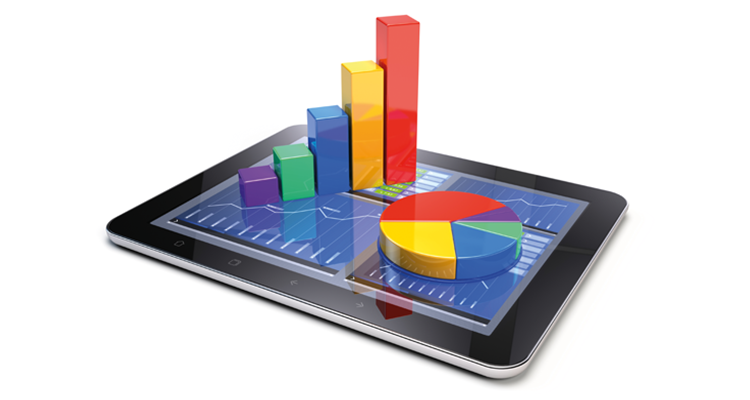 “Zebra claims quite a high level of accuracy – within 30cm basic – but that can be improved to just 10cm with specifi c mathematical formulae. It’s a very exciting application.” Surprisingly, however, this does not actually represent a recent breakthrough. Software interprets movements and displays them in real time. ”It doesn’t indicate progress as such; it is using existing technology in a new area,” he said. But the movement challenge seems to have been quite comprehensively overcome. “That’s because of the use of active technology, which can track higher speeds. The key is the use of active RFID tags. With power from a battery they can transmit a strong signal, over greater distances.” Turning to RFID applications in materials handling, he said that even less sophisticated technology is improving in terms of practical application. “Performance of passive RFID tags at slower speeds is improving,” Bahr explained. “They need to meet certain conditions in order to get the best performance. They need to have correct orientation and no interference from metals or liquids – although even those problems can be reduced by using larger antennae. The tags have to be within the operating range of the readers, as well.” That last point should seem obvious but it does serve to emphasise the importance of planning and taking expert advice, from vendors themselves or from research groups, such as Aston University’s School of Engineering and Applied Science. Although there have been no earthshaking or headline-grabbing leaps forward, the past few years have seen evolutionary and incremental improvements in RFID technology and increasing awareness and implementation of projects, especially in retail and food. RFID has characteristics that could be particularly helpful in controlling high added-value clothing and in improving track-and-trace in food retailing. “We are seeing increasing use of RFID to improve inventory control accuracy, and to boost replenishment and availability,” said Bahr. “Patrizia Pepe, the Italian fashion house, more than doubled the amount of products that each distribution centre can handle. Charles Vögele, an Austrian retailer, tracks goods all the way from Asia to its stores in Europe. Gerry Weber, a German manufacturer of women’s clothing, is using RFID to reduce theft and improve inventory visibility. We are seeing applications in healthcare, manufacturing, aerospace and other sectors. Aldi and Lidl, the European supermarkets, are using the technology in tracking and tracing food, such as chicken breasts.” Rather timely, given the recent concerns about the actual composition of meat dishes such as burgers. So – what is the connection between 200kg of American footballers, a truckload of ladies fashions and a kilo of minced beef? RFID tags. Obviously. Marks & Spencer, the international retailer headquartered in the UK, has a £10bn turnover almost equally split between food (51%) and ‘general merchandise’ (49%) – primarily clothing. It has been using RFID on food since 2000, started trials on clothing RFID in 2003 and decided to go ahead with the technology in 2005. It is not a simple process, however; the company has 1180 stores in 53 territories, along with 2000 suppliers. A decision to extend the technology to all its stock was agreed in 2012. Clothing garments arrive in-store with RFID tags applied at source – over 200 factories in 20 countries. In-store scanning is by hand-held Gen 2 HHT readers. Completed counts are transmitted to the central M&S RFID database and replenishment automatically prompted. M&S reports that RFID tagging enables more accurate replenishment and improves availability of goods across all sizes and colours, leading to increased sales. The company says that RFID delivers the stock accuracy needed for multi-channel retailing – and emphasises that good change management and compliance reporting is essential. With thanks to Witold Bahr, University of Aston, Birmingham.